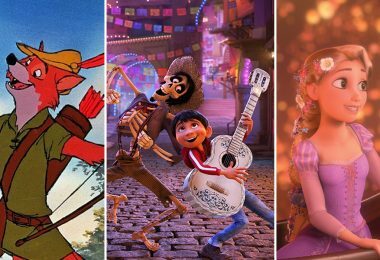 Think about it—how many of your most cherished Disney memories can be traced to films from Pixar and Walt Disney Animation Studios? 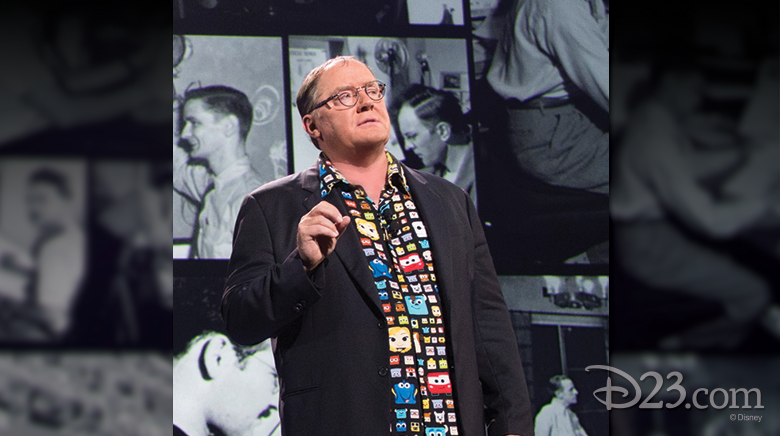 This afternoon, at D23 EXPO 2015, Chief Creative Officer John Lasseter led us on amazing journey through the films you’ll be seeing in the coming months and years. We were overjoyed to see some old animated friends—we’re talking to you, Dory!—and happy to meet some exciting new ones. 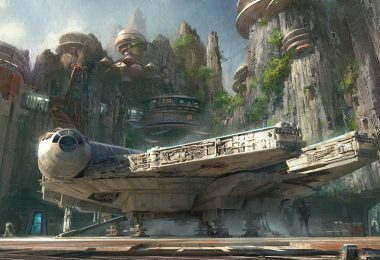 We were left with a true memory of a lifetime for having witnessed one of those special events that only happen at D23 EXPO. 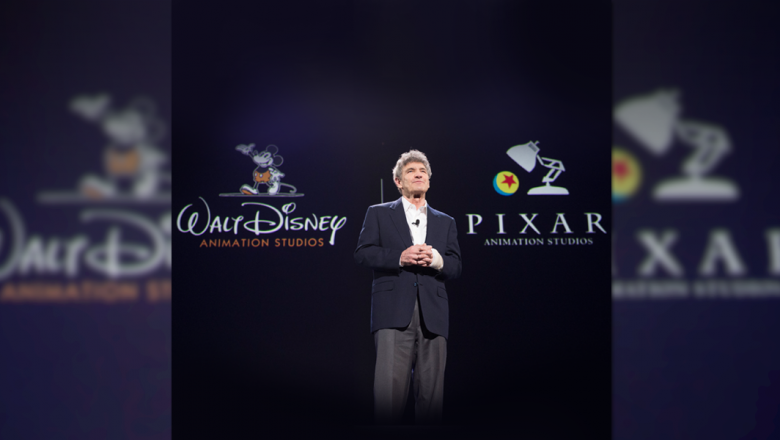 Alan Horn, chairman, The Walt Disney Studios, told the audience, “This is D23. This is your get-together,” before turning things over to John Lasseter, Pixar and Walt Disney Animation Studios’ chief creative officer. 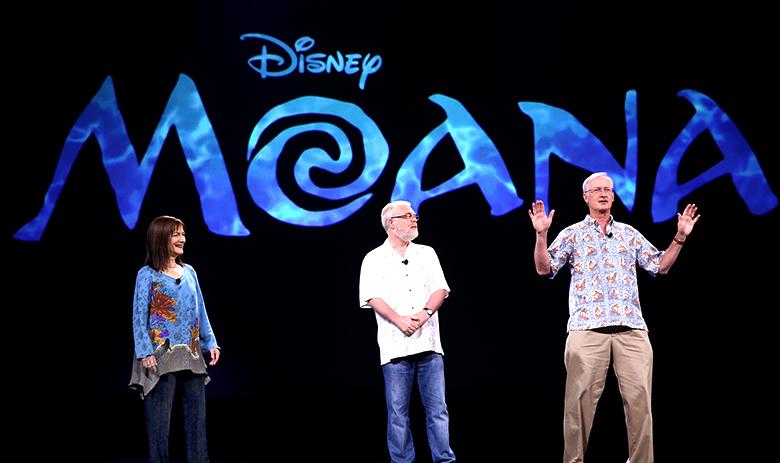 Lasseter showed off one of his signature Hawaiian shirts—one of more than 500, according to Horn—and even fired a few off into the audience. 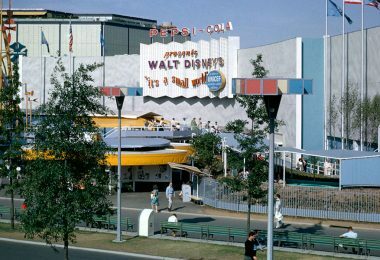 Before presenting the Studios’ slates to a thrilled audience of Disney fans, Lasseter heralded both studios for their incredible stories: Walt Disney Animation Studios, “a studio that Walt Disney himself started 92 years ago,” and Pixar, “the studio of pioneers who invented much of computer animation.” The two came together for a spectacular afternoon. 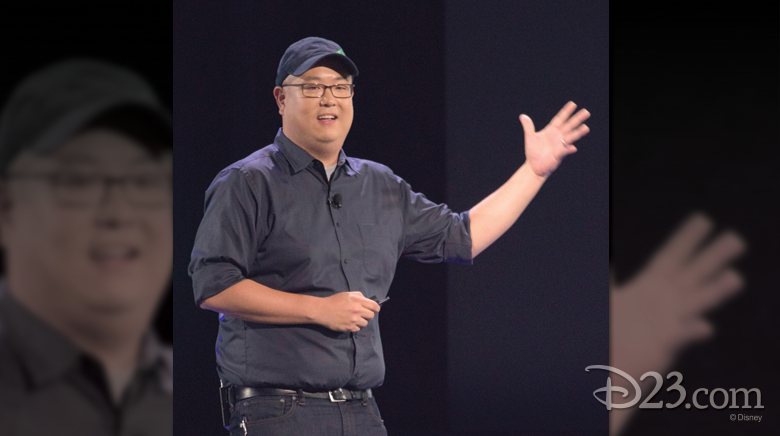 When Lasseter returned to the stage, he referenced the lasting legacy of Disney animated films and said, “If we’ve done our job right, these stories can live forever in people’s homes.” So many of these eternal stories come from fairy tales, and Lasseter thrilled the 7,500-member audience by announcing that Walt Disney Animation Studios is in production on their version of “Jack and the Beanstalk,” a film that is called Gigantic. Set in Spain during the Age of Exploration, Gigantic follows adventure-seeker Jack as he discovers a world of giants hidden within the clouds. He hatches a grand plan with Inma, a 60-foot-tall, 11-year-old girl, and agrees to help her find her way home. And as director Nathan Greno (Tangled) and producer Dorothy McKim (Get A Horse!) said, if you make a movie that has gigantic comedy and gigantic emotion, you’re going to need music. 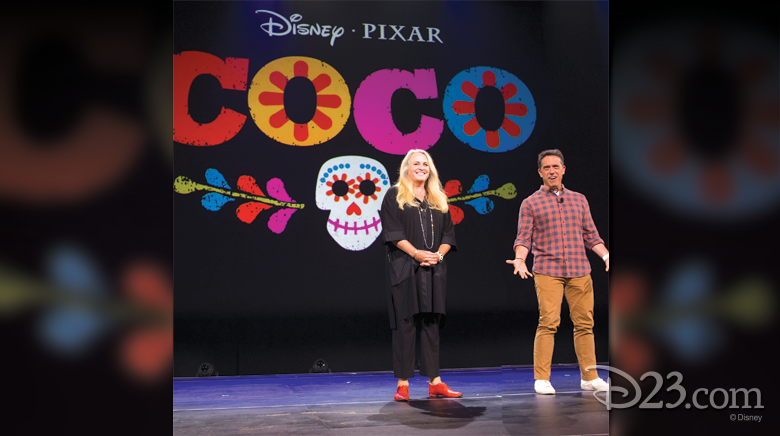 And music in the film—and today at D23 EXPO—is provided by the award-winning songwriting team Kristen Anderson-Lopez and Robert Lopez, the team behind Frozen. They previewed a demo of a song from Gigantic, which is slated to hit theaters in 2018. “Handsome!” a bold offstage voice boomed. 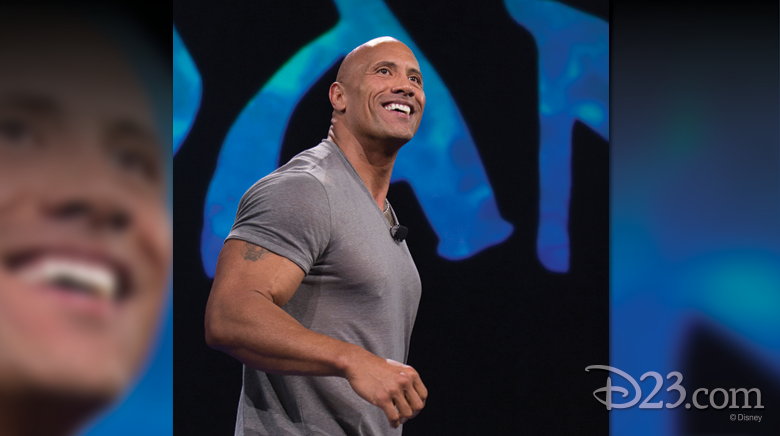 And on to the stage walked the actor lending his voice to Moana—the mighty, strong, and yes, handsome, Dwayne Johnson. 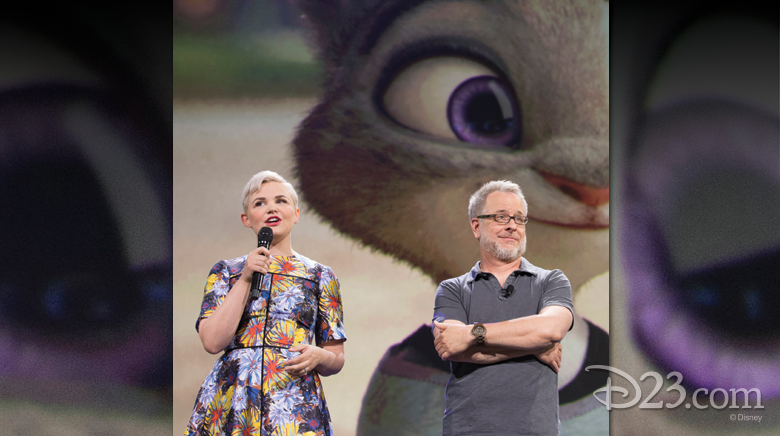 Johnson was clearly thrilled to be at D23 EXPO, and moved to be part of a Walt Disney Animation Studios film. “I had a goal, and the goal was to be in the Disney family. The goal was to be part of a Disney animated movie. For me to be standing here today with these brilliant filmmakers and storytellers… Thank you so much!” he said. 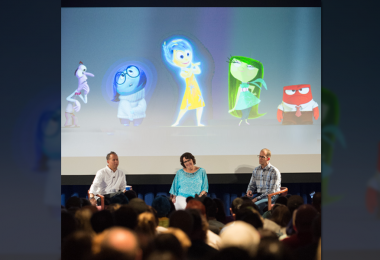 The filmmakers from Pixar’s current blockbuster Inside Out, Pete Docter and Jonas Rivera, begged John Lasseter to allow them to screen Riley’s First Date?, the short that will be included on the Blu-ray, DVD, and digital release of Inside Out in the fall. We’re so glad that they were so persuasive—the short is awesome! 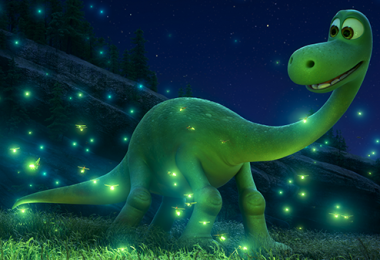 In previewing The Good Dinosaur, the film’s director, Peter Sohn, explained that his love of movies came from his mother, who would take him to see American movies—even though she didn’t understand English. He would translate as best he could. But there were movies he didn’t have to explain, and those were Disney animated movies. The iconic scene between Dumbo and his mother just “got her,” Sohn said. “She didn’t need to understand English. We just felt everything.” That experience made him want to learn animation. Sohn and and producer Denise Ream also showed off never-before-seen footage of a trio of T-Rexes, voiced by AJ Buckley, Anna Paquin, and Sam Elliott. There was a veritable school of surprise guests for the Finding Dory portion of the presentation! 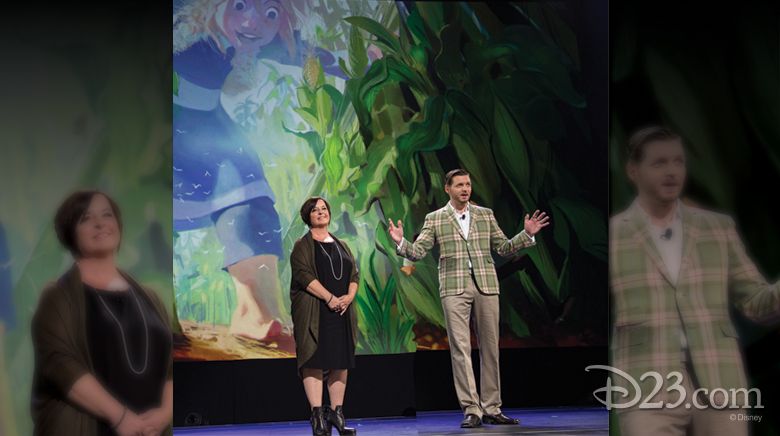 After Lasseter revealed that no one lobbied harder than Ellen DeGeneres for a sequel to Finding Nemo, DeGeneres herself appeared on the Hall D23 stage. She was joined onstage by her co-stars Ed O’Neill (Modern Family), who lends his voice to Hank, a cantankerous octopus; Ty Burrell (Modern Family), the voice of Bailey, a misguided beluga whale; and Kaitlin Olson (Always Sunny in Philadelphia), who voices Destiny, a kind-hearted whale shark. 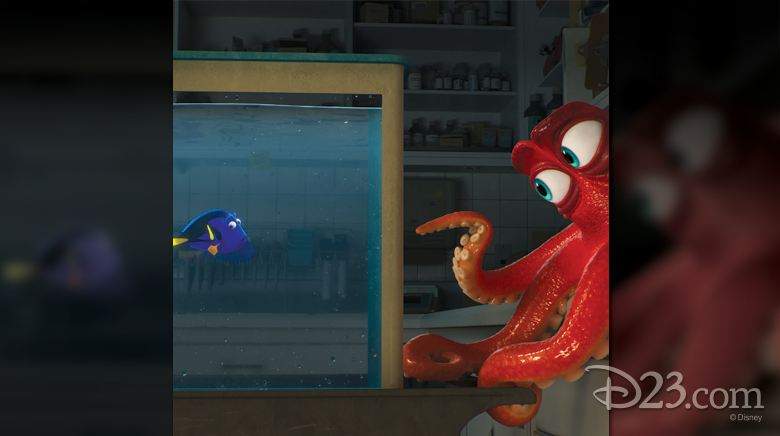 The filmmakers also revealed that we’ll meet Dory’s parents in the film, whose voices will be provided by Diane Keaton and Eugene Levy. Finding Nemo’s director Andrew Stanton has returned for the sequel (co-directed by Angus MacLane and produced by Lindsey Collins, the co-producer of WALL•E), and he admits that he never planned on revisiting the story. But over time Andrew realized, “One issue remained unaddressed—Dory’s family.” “I wanted to know that if this charming, forgetful fish ever got lost again, that she could find her way home.” Finding Dory swims into theaters June 17, 2016. And then it was time to go back to the film that started it all—Toy Story—by looking forward to the next adventure for the toy box gang. “Each of the stories [in the trilogy] is a different genre. Toy Story 4 is a genre we’ve never done in the Toy Story world, and it is a love story. We’re proud to announce that it’s a love story between Woody and Bo Peep.” Lasseter stressed how thrilled he is to be directing the film—along with co-director Josh Cooley—and the story is very personal to him, inspired by his wife, Nancy. 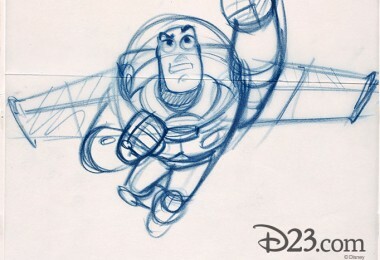 When Lasseter introduced Toy Story 4, he acknowledged disbelief that the first film is celebrating its 20th anniversary this year. 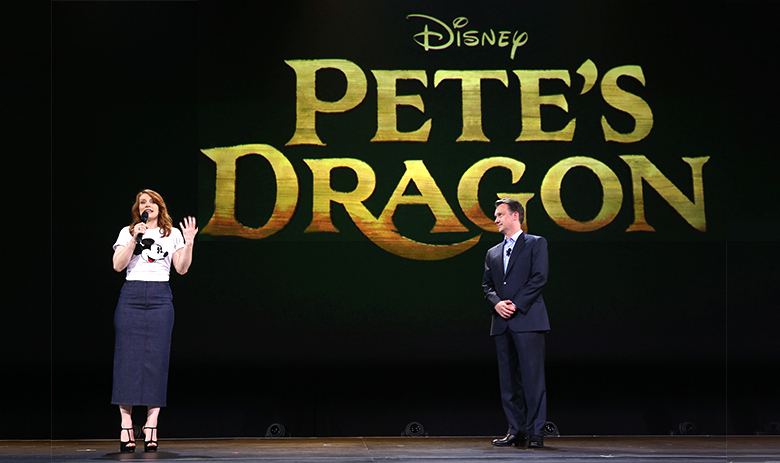 “I’m sorry to make a lot of you feel old all of a sudden,” Lasseter apologized. 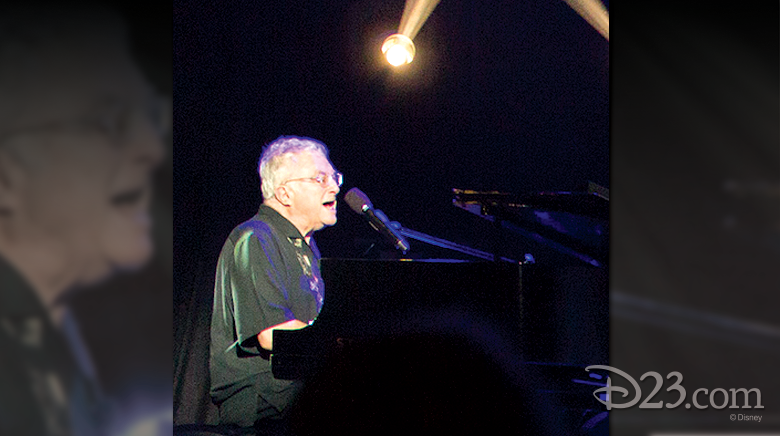 But there was no better way to celebrate that milestone than with a live performance of “You’ve Got a Friend in Me” from Disney Legend Randy Newman, evoking that same feeling we had upon watching Toy Story in 1995. 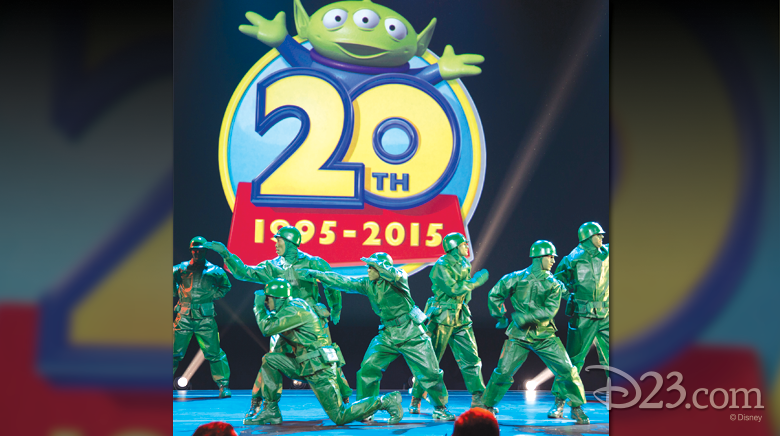 The celebration culminated when Green Army Men rappelled from the ceiling, spirited cheerleaders shot T-shirts from cannons into the crowd, and the whole Toy Story gang took the stage—dancing in the grandest finale, making us very glad that we have a friend in Pixar and in Walt Disney Animation, and always will.